Wow, the month totally got away from me (how about you?) 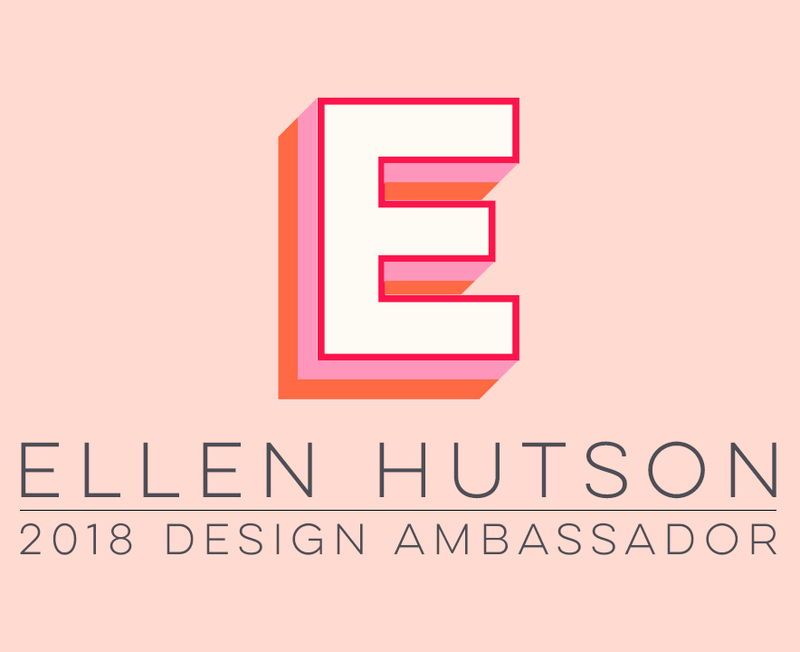 and I realized I never got around to trying the project I had in mind for Karen Lockhart's Stamp of the Month over at Ellen Hutson LLC. You still have a few hours to scoop up this terrific deal and then you can make one of these recipe holders, too! I started by stamping the apron with Tsukineko's Tuxedo Black Memento ink onto these coordinating BasicGrey Sugared papers, then cutting them out and piecing them together. Before cutting out the overall red apron, I glued a thin piece of chipboard to the back of the paper so I could cut everything out at once and have it all match up perfectly. And because it bugged me to have the naked wood of the clothespin showing and not matching everything else, I decided to try and color it with the same Copic marker . . . and it worked beautifully! I also colored some clear crystal gemstones with that Copic Garnet marker, so they would match the rest of my project . . . just call me the gemstone chef, LOL! I hope you'll be able to pick up Ellen's cute stamp kit today before it's gone . . . but if you don't make it, the Apron stamp will always still be in stock at Ellen's store. I'll be back over the weekend with some more Spellbinder projects and hope I get time to stamp my August calendar . . . I wasn't prepared this month! It's a little 4.5" tall wooden birdhouse from the Dollar Tree that I covered with Fancy Pants (Holly Jolly collection) papers, using Beacon Adhesives' Zip Dry Paper Glue -- love this stuff for alterables! The exposed wooden areas were painted with Making Memories Bordeaux acrylic paint -- it really does match the burgundy in the papers better than it looks here. Now for the fun stuff -- the little bird is the smallest in the Nested Birds die set of three. You can view all those new die releases in one spot on the home page of the Spellbinders website HERE. I used the reverse stenciling technique (ink your die and then cut with it) -- this gives that nice solid color around the outside embossed edge of the die. Bird is backed with thin cereal box chipboard to give her stability and attached to the house with very thick pop dots. Then I edged the roof line with dark pink crystal stickers. The "Noel" sign is from a die cut sheet from the Fancy Pants holiday paper collection. This is a 12-inch scrap page I did for Spellbinders that was on display at CHA-Summer . . . I think it's my favorite to date! My sweet 5-year old is a professional poser for the camera now, since I've had one in her face ever since she can remember! *smile* This photo definitely captures her personality to a T . . . that contagious smile warms everyone's heart and melts mine! I started with the teal background paper from Fancy Pants (About a Boy-Expression) and then cut out the floral design from another pattern (Fancy Free Clair De Lune-Ornamental) and adhered it to the teal. The Spellbinders Sunflower 2 was die cut from cranberry Fancy Pants paper (Holly Jolly-Flurry), along with the Labels Two. Remember, these newly released dies will be available from your retailer sometime in August -- Ellen Hutson LLC should be carrying them all. Excalibur Font was used to cut the title lettering (on the Label). Pink crystal gemstones accent the label. Labels Triodies were used to cut out computer generated journaling words. I'll have some more Spellbinder projects to share with you over the next few days, so check back in! One company that some of you may be familiar with that has gained popularity since January's Winter CHA show has been JustRite Stampers. You've probably seen lots of samples using this fabulous "new" monogram stamper on some of your favorite blogs. I made a monogram sample for my Spellbinders CHA die preview here. If you click on their site link above, you'll see just how much they've changed the consumer side of the company in just 6 short months . . . I was very pleasantly amazed! The company actually has a 100-year history in the commercial stamping industry but just started using its knowledge of stamping products in 2004 to introduce stamp making technology to crafters. They've redesigned their stampers, added new shapes and I believe about 32 new products to the line just since January! You can read all about it and see the newly introduced products on their blog. The newly-redesigned Monogram Stampers, including the green one in a new oval shape! A great, classic font (Brayton) and a beautiful script font (Trompe). They come in convenient stacking trays and each set contains letters, numbers & symbols in 95 pt., 50 pt., and 25 pt. -- a great variety for most any crafting you need to do! I can't wait to play with these! You'll be seeing some samples from me soon, using these wonderful new products!